Touch My Beloved's Thought is an audacious undertaking that draws inspiration from the drama, passion, and presentation of Charles Mingus' 1963 recording Black Saint and Sinner Lady. 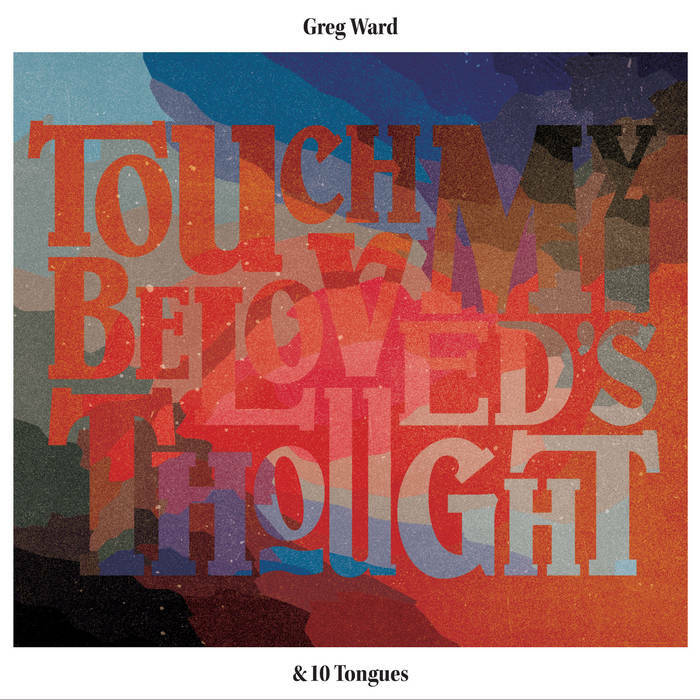 Chicago based saxophonist Greg Ward typically leans toward edgy modern jazz, with nods towards classic hard bop and free jazz, but on Touch My Beloved's Thought he takes it much further, creating a dazzling score for a 10-piece group comprised of trusted colleagues. The inspiration came in form of a commission to honor Mingus' masterwork, and from this, the piece was developed, like the original, with an accompanying dance production (choreographed by Onye Ozuzu). The resulting performance, the one from which this recording was made, was debuted at Constellation in Chicago in August of 2015. While going back to the Mingus album certainly enriches the listening experience, it is not required, as Ward explains, the connection to Mingus's piece was more of inspiration and continuation rather than a rewriting. The composer took snippets, intros, arresting intervals, and fleeting moments as jumping off points to create something unique. Even the title refers back to the sub-title of the original. Kicking off with 'Daybreak', a sequence of chords played by the saxophones beckons, as the listener is drawn to the layered opening fanfare. Right away the composition is striking, especially as the theme is recast again and again, gaining depth and heft. The saxophone solo at the 4-minute mark is a delicious break, especially against the rich accompaniment. The opening truly sets the stage - the follow up 'Singular Serenade' breaks down the big sound into a more intimate scene - driven by piano and steeped in the blues. There is a vaguely nagging familiarity to the melody. In 'With All Sorrow, Sing a Song of Jubilee', a ballad, introduced by piano hosts an extended trombone solo that harkens back to an older style of jazz, but fresh enough to underscore how good music is timeless. The follow up 'Grit' is a perfect encapsulation of a Mingus riff, bold and joyous, and something to grab onto. Finally, let's listen together to the incredible horn arrangement in 'Round 3' – it's a brass fantasy worthy of getting lost in. Stomps and shouts and a bass line so sumptuous it'll make you weep. On Touch My Beloved's Thought, brash voicings and subtle changes work hand-in-hand with sizzling solos and energetic ensemble work to bring this homage alive. In this connected age, when all music is available, at any time and anywhere, and the rich well from which to draw inspiration is ever flowing, you can glance backwards but you must keep moving ahead. It's great to hear such a work being created in 2016 and would support any argument about vitality of jazz right now.